​This is not a joke for those of us whose refrigerators stop working. 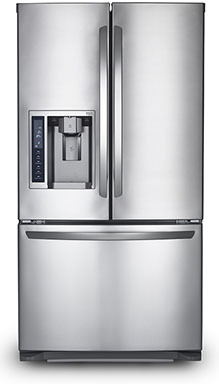 When your refrigerator stops being cold, you could end up spending money on food, as well as repair costs. Give us a call as soon as you notice the problem so we can help set it straight and keep your costs at a minimum. How can you tell if there’s something wrong with your fridge? Our technicians here at Edgeworth Appliance are trained and experienced to answer all your questions and fix virtually all fixable problems on all major brands of refrigerators, including Frigidaire, LG, Whirlpoool, GE, Samsung, Jenn-Air and more. The large majority of problems we respond to are fixed within 24 hours, and if it’s a new part you need, we offer twice the warranty manufacturers do – all this at some of the lowest rates in the industry.